I'm not calling her. Ever. Or responding to her emails (I expect to get more as she awaits the call that will never come). My Dad is a big, big Monk fan and has read all of your books. Please send him an autographed book or a personalized, signed, chatty note by regular mail, preferably hand-written (NOT a form letter! It must be personal!). He would appreciate it very much. His name is Dave XYZ. Here is his mailing address. Thank you. Mr. Monk says "never eat mixed nuts." Hope you follow his advice and continue to enjoy the books. PS – This card makes a handy bookmark or coaster. Never fold page corners or leave rings on tables. 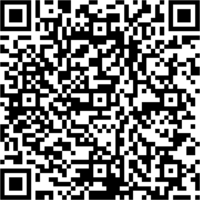 In the fall of 2010, Mr. Rutherford started a Web site,GettingBookReviews.com. At first, he advertised that he would review a book for $99. But some clients wanted a chorus proclaiming their excellence. So, for $499, Mr. Rutherford would do 20 online reviews. A few people needed a whole orchestra. For $999, he would do 50. I think Amazon and Barnes & Noble should remove all the reader reviews for any author who has paid Rutherford, or any scumbags like him, for purchased praise. I have not read this book which, according to an interview with Hughes in today’s New York Times, means I have a lot in common with the reviewers here… at least the ones who’ve praised the book. Hughes admits to buying positive reviews in his quest to become “a recognized author.” Here’s some advice. Actually write a good book. You do not gain readers, or recognition, by swindling readers into buying your books with fake praise. It’s unethical and shows a startling lack of respect for your reader…not to mention yourself. You can have this review for free. But the big shocker is that “bestselling” author John Locke admits to buying as many as 300 fake reviews to bolster the popularity of his 99 cent detective novels. Apparently, it worked for him. He’s sold a million books on Amazon and scored a publishing deal with Simon & Schuster. It should be interesting to see if he suffers any blowback for his highly unethical conduct. At the minimum, Amazon should delete all of his favorable reviews, since so many of them are now suspect. Why do his descriptions of breasts all sound like directions to my house? Follow the outer curve until the highway swells up the fully-rounded, untamed, tip-tilted hill, then plunges into the valley. The book picks up where Mr. Monk on Patrol left off, with Monk and his assistant Natalie Teeger temporarily employed as police offers in Summit, New Jersey. They eventually return to San Francisco with big plans in mind, but Natalie's homecoming is less than idyllic: suffice it to say that her house is soon cordoned off with police tape, and things don't look good for her and Monk. While they're trying to get the FBI off their backs, Natalie and Monk are also tasked with helping Monk's agoraphobic brother Ambrose, a storyline that leads to a very moving, very satisfying conclusion. There is less humor in this book than in previous installments, but plenty of heart. The novel ends with our crime-fighting duo on the verge of huge changes in their lives. I'm eager to see how Goldberg will wrap things up, but also very sad to see his involvement with the series coming to an end. This plot has a little bit of everything including mobsters, the FBI, love, marriage and changing friendships. It’s been fun to see how Natalie and Monk have both grown and changed throughout this series on TV and the books. In this one not only do we have Monk’s quirky brilliance, but Natalie continues to grow as a detective. Is it possible Monk could now survive without Natalie? Or maybe more important, can Natalie survive without Monk? As always Lee does a great job of bringing these familiar characters to life and providing the reader with a fun mystery filled with twists and turns. I have to admit I didn’t see the ending coming and I can’t wait for the next and final Monk book coming in January. I've mentioned time and again how much I've enjoyed these books, and this one's no exception. It's very funny, and it marks another step in the changes that have been occurring as the series progresses[…]The ending is entirely satisfactory, as you'd expect from Goldberg, and it looks as if the next novel will be taking a somewhat new direction. Don't wait for that one, though. Get this one. You'll thank me later. It has laughs, heart, mysteries, and deft plotting, all the things that have made reading the series such a pleasure. While I do still miss watching Monk's antics on TV, the novels based on the series have been a nice way to revisit these great characters. But as the novels have continued post TV series finale, the characters have grown even stronger. The journey they've been on continues in Mr. Monk is a Mess, which I think is my favorite to date. […]But the real star here is the characters. In the books since the series ended, author Lee Goldberg has been letting them grow in some interesting new ways that still feel very true to the characters established in the series. That continues here for all of them, and it is a great thing to watch. Since they are the main characters, Natalie and Monk get the most development, but the supporting characters from the TV series still get their moments. It will please any fan of the show, especially someone who's been reading the books all along. The show certainly had many comedic moments, and I found plenty more to laugh about here. In fact, it amazes me that after so many TV episodes and novels (this is the fourteenth novel), Monk continues to surprise and amuse me, but he does. Those who have avoided the novels have done so at their own detriment. They are so much fun and continue the series in a great way. Mr. Monk is a Mess could be enjoyed on its own, but to really get it, you need to read the rest of the book series first. I appreciate all the great review Debra, Lorie, Bill and Mark, as well as all the five-star reviews from readers on Amazon. Mr, Goldberg, thanks for this opportunity to contact you. First, you have given me great pleasure over the years. I have bought and read every Monk book, and also own the series. Monk is one of my favorite characters, and I enjoyed all of your books until recently. To make this brief, I’m sorry, but “Mr. Monk is a Mess” is simply a really lousy book, in my opinion. I hardly know where to begin. I do thank you for all the great books and T. V. episodes you have given us, But if I can find my receipt, this book will go back, and I am going to watch episodes of Monk to get the bad “taste” out of my mind. I don’t know if you will bother to read this (the first time I’ve ever to an author). But if you do, thank you for the opportunity to air my opinion. Thanks for taking the time to share your opinion with me. This is the first email I’ve received from a reader that has expressed any disappointment with the book. Although you may not think the events in the story were true to the character, Andy Breckman, who created the characters and ran the tv series, heartily approved of everything in the book. I don’t do anything in the books without getting his consent first. So we’re going to have to agree to disagree on this point :-). Lee, thanks for your friendly response. I appreciate knowing that Andy Breckman okayed everything (though I do disagree!) Keep writing! It's not unusual for an author to grow to resent the fictional character that has come to define him. Or for an author to want to end a long-running series so he can move on to new challenges. Writing that final book can reveal a lot about how the author feels about his character. That book can be a triumph (like Agatha Chrisitie's CURTAIN) or a crushing disappointment, like Henning Mankell's THE TROUBLED MAN, his final Wallander, which I just finshed (albeit as a book on tape). In this plodding book, Wallander investigates the disappearance of his daughter's presumptive in-laws and worries about his own, possible descent into Alzheimers. I won't go into too much detail about the meandering, slow–moving story, except to say Mankell was astonishingly lazy in his plotting. He seems to have made up the plot as he went along, with no clear idea of where he was going or what the solution to the mystery would be…or how all the clues he was making up on the fly would all fit together. There's a stunningly inane, unbelievable, and contrived coincidence a third of the way through the book that requires such a massive suspension of disbelief that it ruins the novel. What's even more perplexing is that, plotwise, stooping to such a ridiculous coincidence ultimately ends up being totally unnecessary. It could have been cut without changing the course of the book at all. There are other plotting problems, ones you'd expect from a novice rather than an accomplished pro like Mankell. 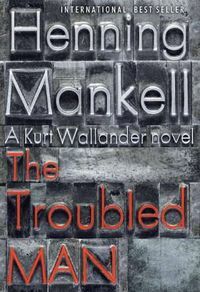 Whenever Wallander has a gap in his knowledge, rather than come up with a clever and interesting way for the detective to find out what he needs to know, Mankell creates instant expository characters to conveniently give Wallander the specific answers he needs and then leave the stage, never to be seen again in the novel. As a mystery, this book is a big, and often frustrating, disappointment that comes to a very unsatisfying, clumsy conclusion that leaves many clues unexplained and most of the questions unanswered. But the novel does work as a melancholy look into the life of Kurt Wallander, a lonely and sad policeman who feels his age and fears that he is losing his grasp on his memory. That said, Wallander's ultimate, dismal fate is dashed off in a short, terse paragraph, one that's bound to infuriate fans who have come to love the detective over the years…and that, I believe, reveals Mankell's disdain for the character that has made him an international bestselling author.